SPECTRE, the 24th James Bond film, had more scrutiny than most James Bond films. Thanks to the 2014 hacking of Sony Pictures, at least two versions of the script and many related e-mails ended up going out ahead of filming that began in December 2014. By the time of a 129-page, Dec. 1, 2014 draft — one week before the start of principal photography — the story was mostly locked down. Neal Purvis and Robert Wade had rewritten earlier drafts by John Logan. However, there would still be changes made before the final film. The Dec. 1 draft, referring to the gunbarrel sequence, said: “IRIS OPENS on the eye-socket of a SKULL. The official James Bond Twitter feed in early 2015 teased this idea as part of its series of clapperboard photos. However, in the final film, the gunbarrel (or iris) didn’t open up on anything. The image of Bond having shot his gun went black and the words, “The dead are live” appeared. Then an image of the Day of the Dead parade (including a skull float) appeared. The stage directions establish what audiences would see in the fall of 2015. This is MARCO SCIARRA. An assassin. It’s JAMES BOND. Also an assassin. What follows is very similar to the final film. Bond is with a woman named Estrella, who he eventually ditches to go after Sciarra. However, there’s a brief exchange later that wouldn’t be part of the final film. BACK TO BOND. Steely as he looks over Mexico. His cell phone rings. An aerial shot of the helicopter flying over the city into the setting sun. Well – I hope you found what you were looking for. He looks down…at the small ring he now holds in his palm. After the titles, Bond goes to see M. The stage directions indicate 007’s actions in Mexico are the talk of the office. “As he strides down the corridor, people fall silent. Analysts whisper.” Bond also notices new cameras being installed. In the final film, after the title things began directly with Bond’s meeting with M. In the script, the cameras would be referenced when Bond meets C.
“…cameras. You put up all the cameras,” Bond says. “Well, you’ve nothing to hide, have you Bond?” C replies. Later, when Bond shows Moneypenny the video message he received from the former M (Judi Dench), the stage directions list the character as “M (Judi).” Her lines are in italic type. The Moneypenny-Bond scene is a bit longer than the final film, but not substantially different. It does turn out there’s a woman in Bond’s bedroom. “James? I’m lonely…Come back to bed…” After Moneypenny departs, the woman asks Bond who was just there. Bond goes to Rome and infiltrates a SPECTRE meeting. The script briefly introduces the movie’s villain but there are no clues yet to his real identity. As in the final film, Bond makes his getaway in the Aston Martin he took from MI6 while SPECTRE’s Hinx follows in a Jaguar. The stage directions specify that “Dusty Springfield’s ‘SPOOKY'” come out of the Aston’s Martin’s speakers at one point. Skipping ahead, Bond meets up with Mr. White, more or less as he did in the final film. After White kills himself, Bond is trying to meet up with his daughter Madeline Swann. When he tracks her down, the script has a few more details. Bond says he was 11 when his parents died. “And what’s your plan exactly?” Q asks. Bond gives Q the ring he took from Sciarra back in Mexico City. Q begins working with his laptop. The stage directions emphasize how the previous Daniel Craig 007 films are now interlocked. Meanwhile, as in the film, C shows off to M how all of MI6 personnel are under surveillance. The script, though, has a scene where M confronts Moneypenny for aiding Bond without his knowledge. More back and forth takes place when Moneypenny says Bond was following orders. “Your predecessor, sir.” This, of course, shakes M up. Dad Always Liked You Best! On page 97, Bond and Oberhauser finally meet. Their exchange goes on for a few pages. On page 102, we cut to the chase. Of course, the boy was Bond. Translation: Dad always liked you best! Oberhauser goes on to describe the time he played poker with Bond, using hazelnuts as chips. And the next hand I was dealt All Hearts to the King. A flush! And I pushed all my hazelnuts into the middle. And cuckoo looked at me. And he did the same. Then he reached to his wrist, and he took off his big silver watch his own dead father had given him, and he placed it on the table. And suddenly…I panicked. Yes, young Bond bluffed young Oberhauser. Bond had a pair of threes. This was the inspiration for Oberhauser to become a super villain. Oberhauser remains frozen. Bond leans in. Let’s skip to the ending. Bond shoots Oberhauser three times but doesn’t kill him. “KILL ME you coward! KILL ME! !” Oberhauser says. “Where’s the fun in that?” Bond replies. According to the stage direction, it’s a week later when Bond shows up and talks to Q. As in the final film, Bond and Madeline are in the Aston Martin DB5. But there’s some addditional dialogue in the scrip. Where will we go, James? Bond 25 will not meet its fall 2019 release date, The Hollywood Reporter said, citing sources it didn’t identify. “With the abrupt exit of director Danny Boyle, the next installment in the James Bond film franchise — the untitled Bond 25 — will miss its Nov. 8, 2019 release date in North American theaters, sources tell The Hollywood Reporter,” according to a story by Pamela McClintock. Eon Productions announced Aug. 21 that Boyle was exiting the project due to “creative differences.” The development came less than three months after Eon announced the hiring of the director. THR didn’t provide a precise replacement date. The last Bond film to have a summer release was 1989’s Licence to Kill, the second and final 007 film starring Timothy Dalton. Since 1995’s GoldenEye, Bond films have had a U.S. release date of either November or December. For a time, Bond 22, later titled Quantum of Solace, was slated for May 2, 2008. But Sony Pictures, its distributor, delayed until fall 2008. Iron Man, the first Marvel Studios film, grabbed the May 2 date, launching a powerhouse franchise. 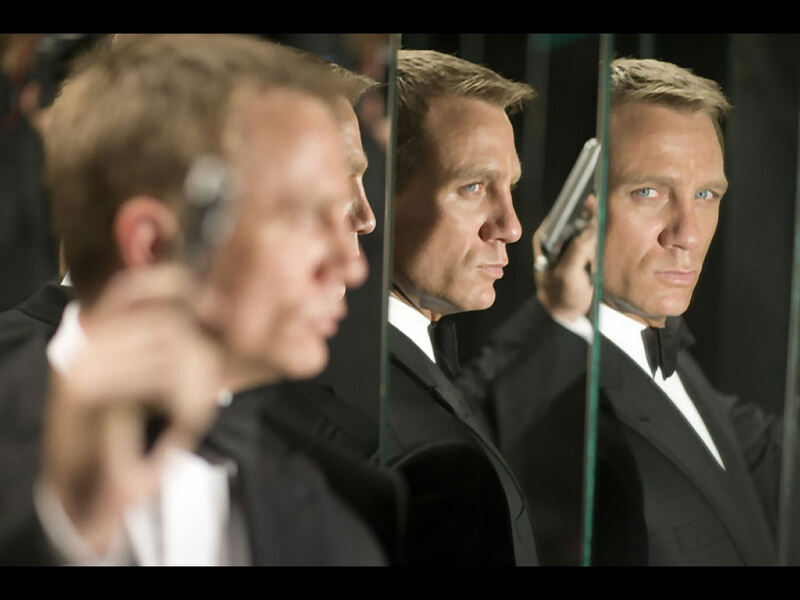 For Bond 25, a joint venture between Metro-Goldwyn-Mayer and Annapurna Pictures will distribute in the U.S. while Universal will handle international distribution. If accurate, does this mean a search for yet another “auteur” director? The Bond franchise was built on the shoulders of journeymen directors such as Terence Young and Guy Hamilton. Deadline: Hollywood was the same outlet that said last fall that the MGM-Annapurna joint venture was “thisclose” to announcing it had secured the Bond 25 domestic distribution deal. While that happened, it didn’t occur until May 2018. 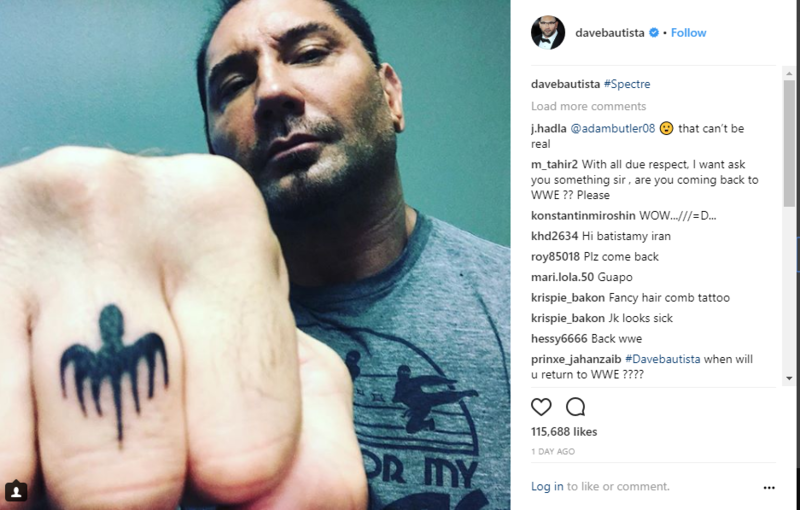 Actor Dave Bautista caused a stir on Instagram this week. He posted a photo of himself, apparently with a SPECTRE logo tattoo on his middle finger. Naturally, fans asked whether this was “confirmation” that he’ll be back for Bond 25 after playing henchman Hinx in SPECTRE. Welcome to the Bond 25 parade of bright, shiny objects. Bond 25, at the moment, is a movie without a way to actually get to theaters (i.e. 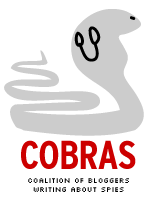 no distributor). There are options, of course, but none has actually been taken. Bond 25’s home studio, Metro-Goldwyn-Mayer, may be trying to sell itself. If that’s the case, unless a sale is executed soon, it might have an impact on Bond 25. Bond 25’s financing may not be settled until there’s a distributor. 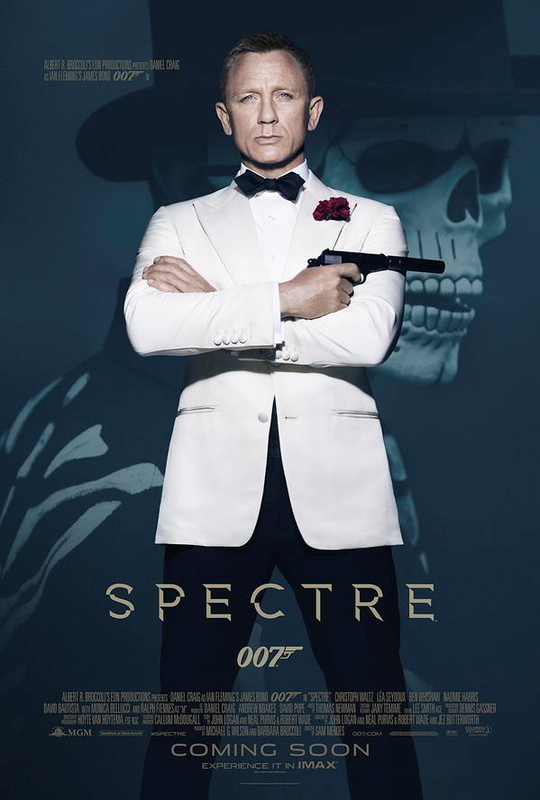 Sony Pictures, under its most recent deal to distribute Skyfall and SPECTRE, kicked in half of the production budget. You can only afford to shoot what you have to spend. Image of Dave Bautista ‘s Instagram post. But, of course, those kind of issues are no fun. Hence, there are bright, shiny objects to distract everyone from the mundane. The Bautista post may be the latest example. –Actor Jeffrey Wright, on April 9, 2017, posted a still of himself as Felix Leiter in Quantum of Solace. “Eh, who’s that brother?” read the caption. The Screen Rant website also bit, with a post titled, “Bond 25: Jeffrey Wright Teases His Return to the Franchise. This was an entire month after the Daily Mail’s Baz Bamigboye reported that veteran 007 scribes Neal Purvis and Robert Wade had been hired to write the Bond 25 script. But, when the fact becomes legend, print the legend as the old saying goes. –And let us not forget how Eon Productions and MGM each announced on July 24, 2017, that Bond 25 would have a U.S. release date of Nov. 8, 2019. At the time, there was no distributor but that appeared to be a mere formality. Fan countdown clocks went online. Of course, there’s still no distributor all this time later. At some point, Bond 25 will come out. But this blog would prefer solid news, not bright, shiny objects. This week, Daniel Craig talked (very, very) briefly about Bond 25. He didn’t say much, except to say (again) he’d be doing the movie. However, that didn’t stop a number of stories with very annoying passages. Here’s a look at some. No, no it’s not. Eon Productions and Metro-Goldwyn-Mayer said last year the movie would have a U.S. release date of November 2019. MGM, last month on an investor call, said Bond would return in 2019. Bond 25 is not upon us. In other words, nothing has changed. The only people who are surprised are the scribes and editors at Vanity Fair who, from a 007 perspective, have been in a slumber to rival that of Rip Van Winkle’s. DEN OF GEEK!, APRIL 11: The entertainment news website examines the release slate of Sony Pictures and ponders whether Sony might end up distributing Bond 25. “We’ve learned that indie outfit Annapurna Pictures will team with MGM and EON Productions for US distribution, but last we heard, the international rights are up for grabs,” Den of Geek! said. Well: 1) Eon Productions isn’t involved in distribution. It may or may not have a say, but distribution is an MGM decision. 2) Clearly, Den of Geek! has fallen behind in its reading, including last week’s STORY BY THE HOLLYWOOD REPORTER that no Bond 25 distribution decision has been made and that MGM is using its Bond rights to attract buyers. To be sure, MGM and Annapurna last year formed a joint venture to distribute each other’s movies in the United States. But Bond 25 wasn’t part of the deal. Deadline: Hollywood reported in November that joint venture was close to getting the U.S. Bond 25 deal. But hasn’t happened yet. Note to Den of Geek! 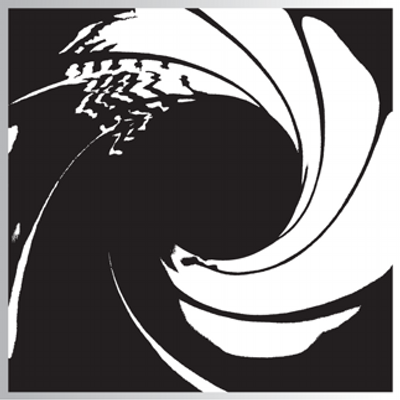 : There’s this site affiliated with the blog called the Bond 25 Timeline. You might want to check it first before doing your next article on Bond 25. h/t to reader @CorneelVf on Twitter for pointing out the Den of Geek! story. OBSERVER, APRIL 10: The story isn’t bad for the most part. It notes for example, the lack of a distributor for Bond 25. But there is one line that was annoying. “We can only assume that franchise producer Barbara Broccoli is paying Craig handsomely for his fifth and final Bond installment,” the Observer said. Ultimately, Barbara Broccoli doesn’t pay the bills. The studio (or studios with co-financing deals) handles that chore. Eon has never financed Bond movies. Whatever money it has fronted has been returned once a studio (beginning with United Artists in the early 1960s, MGM after it acquired UA in the 1980s) OK’s the movie and started paying. At least Variety understands the studio foots the bills. However, this falls into the annoying category because Variety ignored the scoop of its rival (The Hollywood Reporter) about MGM seeking to be acquired and putting off a Bond 25 distribution deal. I’m sure Craig is in line for a big pay day if Bond 25 is made. But it won’t get made unless it is financed (something at least somewhat in doubt until the distribution situation is ironed out). It might have been a better use of time for Variety to find out what really is going on than to write a snarky line. Metro-Goldwyn-Mayer may be getting ready for a sale while the distribution of Bond 25 — both in the U.S. and internationally — is still unresolved, The Hollywood Reporter said. The two issues are related, according to the entertainment news outlet. MGM controls half of the Bond franchise, going back to when it acquired United Artists in 1981. The other half is controlled by Eon Productions and its parent company, Danjaq. One possible MGM buyer is Sony Corp., THR said. The company’s Sony Pictures (and its Columbia Pictures brand) have distributed the last four Bond films, going back to 2006’s Casino Royale. Under its most recent two-film deal, Sony contributed half of the production costs but only took home 25 percent of the profit. “Sony is said to be interested in buying the studio and has the cash on hand to pounce,” THR said. The entertainment news outlet says MGM’s price tag may exceed $6 billion, including the 007 rights. MGM exited bankruptcy in 2010 and had no distribution operation. The studio last year formed a joint venture with Annapurna Pictures to distribute each other’s films in the U.S. However, Bond 25 was not part of the deal. The first MGM film distributed by the joint venture was the recent Death Wish remake. In November, Deadline: Hollywood reported the MGM-Annapurna joint venture was “thisclose” to securing the U.S. distribution for Bond 25. Since then, various stories have been published assuming it was a done deal. But, as this blog has pointed out, there never was an actual announcement. The THR story, meanwhile, has an almost throwaway line in the final paragraph that director Danny Boyle’s deal for Bond 25 has been completed. “One thing is for certain, with the Bond 25 release date looming and director Danny Boyle’s deal done, according to a source, MGM will have to make some kind of move soon,” THR said. Boyle said last month he will direct the movie if a script being written by his collaborator John Hodge is accepted. MGM declined to comment to THR. There hasn’t been a Bond movie moment quite like this one. 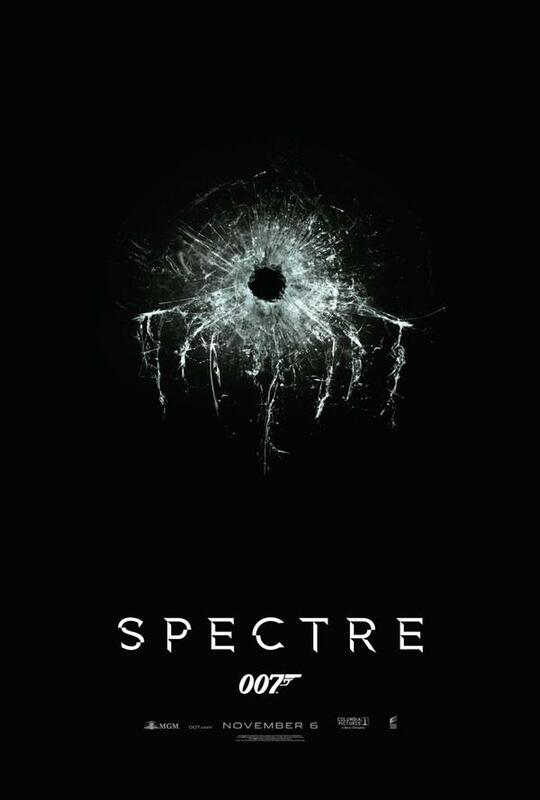 On the one hand, the incumbent Bond actor (Daniel Craig in this case) has said he’s coming back. And a release date (early November 2019) has been announced. On the other hand, It has been more than 190 days since that release date was announced. We still don’t know who will get the movie to theaters. The distributor issue is a moving target. At one point, 20th Century Fox was in the mix. But Walt Disney Co. struck a deal to acquire most of 21st Century Fox, the parent company of the rival film studio. Sony Corp.’s Sony Pictures, which has released the last four 007 films, was also in the mix. Sony Corp. CEO Kaz Hirai has announced his retirement. Now, there’s renewed speculation that Sony Corp. may sell off its film and TV business. Also, Eon Productions, which produces the Bond films, hasn’t been this busy with non-Bond projects. Eon suffered a setback with its non-007 spy film, The Rhythm Section, had to suspend production following an injury to star Blake Lively. At this point, there isn’t much firmly known about Bond 25, the next installment in the 007 film series. Craig told CBS’s Stephen Colbert in August he’s coming back; Eon and Metro-Goldwyn-Mayer announced the 2019 release date in July 2017; and veteran 007 film scribes Neal Purvis and Robert Wade are working on the Bond 25 story. The Hollywood Reporter said in September that tech giants Apple and Amazon were in the hunt for Bond rights, but nothing has been heard from since then. Before now, the 2009-2011 period was the most uncertain for the Bond franchise. MGM, which controls half of the franchise, filed for bankruptcy. Still, MGM completed bankruptcy. On Jan. 11, 2011, Eon and MGM announced that Bond 23 (later titled Skyfall) was back in production after being suspended because of MGM’s uncertain financial situation. Today, more than seven years later, MGM is more healthy financially. It’s moving toward becoming a “big boy” studio again. Last year, it struck a deal with Annapurna Pictures to form a joint venture to release each other’s movies. But, at least for now, that deal doesn’t cover Bond 25. Despite that, Bond 25 distribution (and financing) issues aren’t resolved. The industry is changing quickly. The Disney-Fox deal, for example, would have been unthinkable even a year ago. Is this crying wolf? No. It’s just a recognition things are more complicated than 2010-11, the last time when Bond’s film future was unsettled.